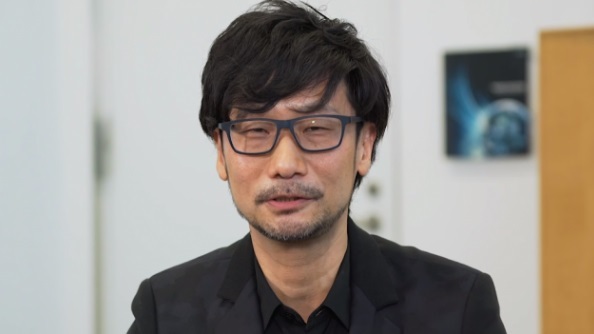 Hideo Kojima just collected the Industry Icon accolade from The Game Awards 2016, after Konami blocked his attendance just days before the show in 2015. That action, at the time, prompted The Game Awards host, Geoff Keighley, to speak out against the Japanese publisher during the live show. He’s now revealing more about the situation. Keep an eye on the PCGamesN homepage for more coverage from The Game Awards. “It’s inconceivable to me that an artist like Hideo would not be allowed to come here and celebrate with his peers and his fellow teammates,” said Keighley during last year’s Game Awards, as a chorus of boos rang out from the crowd directed at Konami, the sponsors of the show. It was a symbol of defiance over their apparent treatment of Kojima, whom Keighley calls a friend. In an interview with Glixel, Keighley has finally shed some light on what was going on between Kojima and Konami, who managed to have a rather public falling out while still keeping the details of the conflict under wraps. Check out our coverage on the strangest videogame stories of 2015 for the full lowdown. “It was such a difficult time because [Kojima] was going through a lot last year,” Keighley says in the interview. “The fact that he finished that game under those circumstances is just amazing. He was locked in a separate room on a different floor than his development team for the final six months of development. He couldn’t even talk to them – he had to talk through someone else. That’s how that game was finished. Following The Game Awards, movie director Guillermo Del Toro took to Twitter to slam Konami too.